In this post we will learn about a pile that is not classified with material but with the shape. We have so far discussed about piles that have uniform section whole through the length except under-reamed piles. We have published many posts about under–reamed pile in this blog. You can read this if you want to have information about it. The driving and bearing advantage of the tapered pile was not new in foundation construction industry. Many years ago, this technology was adopted considering its ease in driving. In some soil, where straight sided piles are not providing substantial capacity, the tapered pile facilitates good performance providing expected capacity assumed in design. The tapered pile provides end bearing with frictional resistance combinedly by the wedge action of taper pile that are greater than combined action of end bearing and side friction of a cylindrical pile. The timber pile was the first known tapered pile that’s application had been found from many years in ancient structures. Perhaps the shape of the tree inspired to use such pile in foundation in tapered form with providing small section in down and large section in top which receives impacts from pile drivers. The true tapered pile was found in market from Raymond standard Taper Pile. 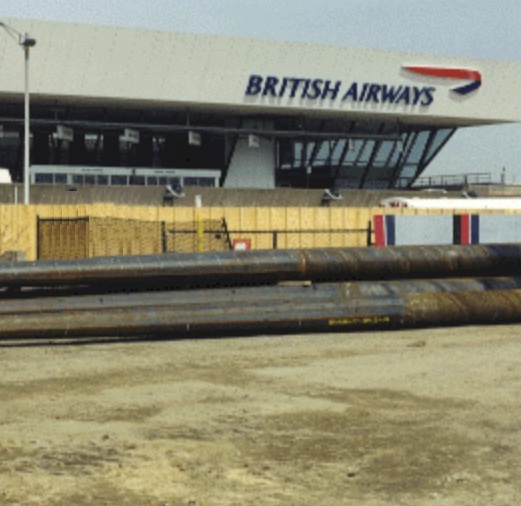 After that Union Metal Monotube Tapered piles were arrived this is still available in the field. Now-a-days all tapered piles are in tubular shape made of steel and filled with concrete after they have installed. 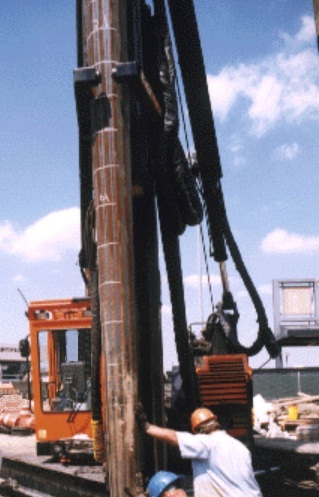 The most successful application of tapered pile is TAPERTUBE PILE. The British Airways Terminal of John F. Kennedy International Airport (JFK) and in international Arrival Building (IAB) of the same had successfully used this technology. In the next post we will discuss about details of application of TAPERTUBE PILE in those projects.